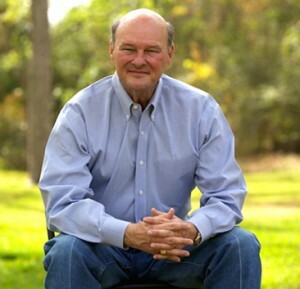 A sixth-generation Texan, State Representative John Raney was elected to the Texas House of Representatives in December 2011 and serves Texas House District 14 which is comprised of Bryan and College Station. John was born April 4, 1947 in Huntsville and was raised on land farmed by his great-grandfather, grandfather, and father for over 125 years in Madison County. John moved back to Huntsville in 1950, and then to Bryan in 1960. He graduated from Stephen F. Austin High School in 1965 and is a member of the Texas A&M Class of 1969, graduating with a BBA in Marketing. While in college, John founded Texas Aggieland Bookstore, which has now been in operation for forty-eight years. John served in the Texas Army National Guard as 1st Lieutenant from 1969 to 1975. He was an honor graduate of the USAR Basic Course and is Airborne qualified..
John began his involvement in politics in the early 70s when he served as Chairman of the Republican Party of Brazos County. During his tenure as Chairman, John also served as Civic Division Vice President of the Bryan College Station Chamber of Commerce, chaired Senatorial District 5 Caucus and began his almost four-decade membership in the National Federation of Independent Business, including serving as a board member. John is a long-time member of the Texas Retailers Association, serving for many years on its Board of Directors and taking an active role on its Tax and Legislative Committee and Executive Committee. In 2010, John Raney was named the Outstanding Member of the Texas Retailers Association. Through these roles, John participated and testified in numerous committee hearings in the Texas Legislature. While attending the Republican State Convention in 1972, John met his future wife, Elizabeth. They were married in 1974. 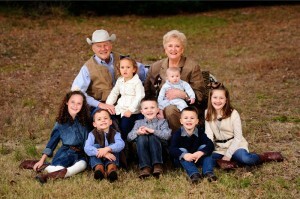 John and Elizabeth have two daughters and sons-in-law, Beth and Grant Hawkins and Laura and Alex Scogin, and seven grandchildren. For over fifty years, the Raneys have been active members and served in many leadership roles at First United Methodist Church in Bryan and for over forty-five years, John has been an active participant in various Masonic bodies within the Brazos Valley. John is actively involved in Aggie sports and many community organizations. Representative Raney serves on the Committee on House Appropriations where he also serves on the Sub-Committee on Education, the Committee on Higher Education where he serves as Vice-Chair, and the Committee on House Administration. He is the Secretary of the House Republican Caucus, serves on the Texas A&M Engineering Extension Service’s Central Texas Police Academy Advisory Board, and is a member of the Aggie Delegation, Eagle Ford Shale, Education, Energy, Farm-to-Table, General Aviation, Legislative Tourism, Military Communities, Republican, Sportsman’s, TEX-21, Texas Manufacturers, and Texas Veterans Caucuses.